Back in 1912, the world was a different place than. People had a more innocent quality then they do now, and this naivety spread through all the classes. The 20th century was still in its early years, but the 20th century had not really officially begun as modern times know it, with war, famine, poverty, and other hardships. The people of 1912 were living in a fairy tale land that had no idea what a violent, hostile, war-torn world existed, but things were about to change. During the early years of this new century, mankind had been progressing in a way it never had before. In 1903, the Wright Brothers discovered that mankind could take to the sky, and another feat, the automobile, began to be produced thanks to a man named Henry Ford. With such creations, mankind provided that it was dominant over Mother Nature, but the arrogance of man was about to be shattered. The Titanic struck an iceberg, and sank to two and a half miles down to the bottom of the North Atlantic, and it shocked the world to its very core. Here are some other startling facts about that night that no one knows about. 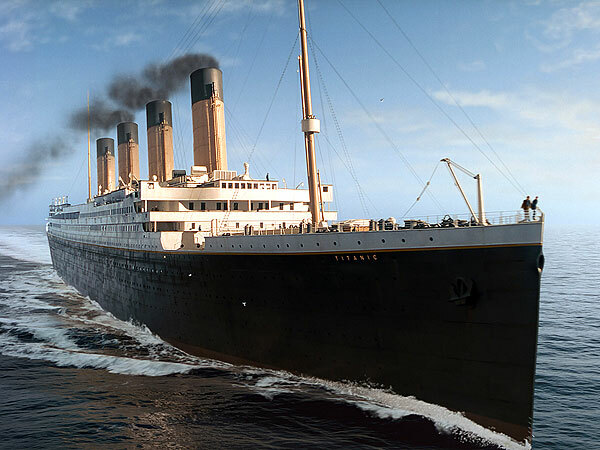 When the Titanic set sail from Southampton on Wednesday, April the 10th, she had 2,228 people on board, which consisted of both passengers and crew. In First Class, there were enough rooms for a total of 735 passengers, but there were only 324 on board, which equaled only 44 percent. In Second Class, there were rooms enough for 674 passengers, but only 283 were present, which was only 42 percent of the total capacity. In Third Class, there were accommodations for a total of 1,024 passengers, but only 710 bought tickets, which was only 69 percent of that class’ total capacity. As far as the crew members, the ship could carry 1,317 crew members, but only 891 were present. In all, the Titanic was only at 54 percent of her total capacity when she set sail. Imagine if the Titanic had been a full ship the night she sank? There was so much publicity and hype about Titanic that people were willing to do anything to get on board the ship. However, there were a total of 55 people that had tickets, but did not sail on the ship. Who were these 55 people? The primary reason why people cancelled is because there was a coal strike in England at the time of Titanic’s sailing, and there were not many ships that were sailing. 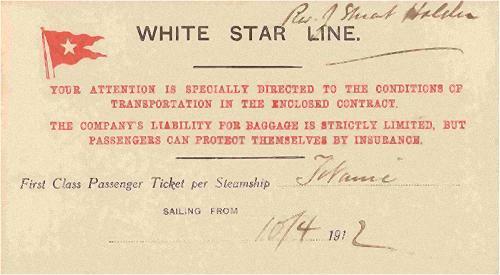 People who were booked on other ships ended up being transferred to Titanic, so a First Class ticket on another ship, translated into a Second Class ticket on Titanic. 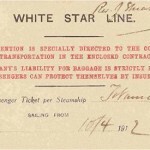 For those that spent a lot of money to travel First Class, the idea of having to take Second Class on Titanic,was not satisfactory to them and the ticket was turned down. 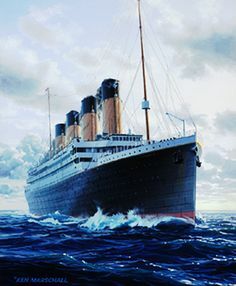 For many others, there was something about the biggest ship in the world that frightened them, or they had premonitions about the impending disaster, and cancelled their voyages on board Titanic. Every ship that sails on the ocean, whether it is 1912 or 2016, has to conduct some sort of lifeboat drill so the passengers know what to do in case of an emergency. 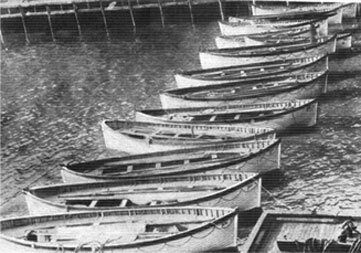 Even back in 1912, the ships were scheduled to do drills either before the ship left or while at sea. 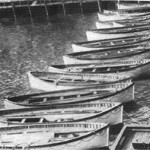 On April 14th, which was a Sunday, the Titanic was scheduled to do a lifeboat drill. However, once church services were over, Captain Smith decided to go ahead and cancel the drill. The temperature had been dropping since the ship arrived in this area of the North Atlantic, and he did not want to subject the passengers to such freezing temperatures. When the disaster occurred, and the passenger were told to got to the boat deck, and into the lifeboats, they were confused and uncertain as to what to do and which boat to get into. Did that make a difference over the number of lives that were lost? If both the crew, and the passengers, had practiced what to do in a disaster, at least just once, perhaps more than 705 people would have survived that tragic night. 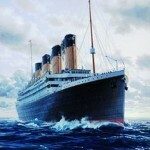 The Titanic sank back in 1912, but there are still facts that are coming out about that night. 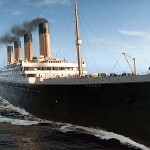 There are so many previously unknown facts about the Titanic that they all may never be known. 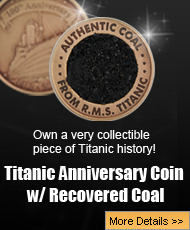 However, as time goes on, and the investigation into Titanic will continue for many years, and generations to come. Someday those that study Titanic may know everything that happened that tragic night, but after 104 years, the answers and information just keeps on surfacing.